Office Space - Cupertino, California. 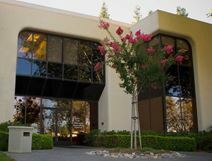 Office suits in the most exclusive neighbourhood in the Bay Area, offers great conference facilities, 24 hr access. Located close to Vallco Shopping district. These Cupertino Suites are adjacent to the biggest names in Technology.